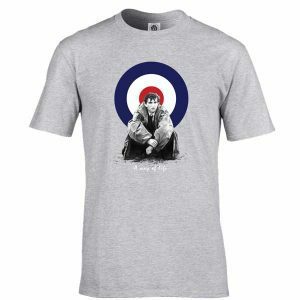 Bespoke Quadrophenia T-Shirt, from original artwork by Mark Reynolds. Available in a range of colours and sizes. Perfect to update your MOD look!